We have a very simple philosophy: We treat every client with respect. 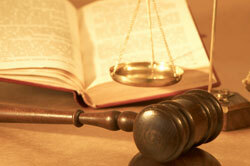 We keep our clients advised of the status of their case at all times and strive to return every phone call every day. This may seem like a trivial item, but we know how stressful it can be when you are unable to discuss your case with your attorney. We cannot promise that the attorney assigned to handle your case will be in the office when you call. We can guarantee, however, that your telephone call will be promptly returned. Your questions will never be given to a secretary or paralegal. An attorney will always answer your questions. We prepare every case as if that case will be tried. We have found that being prepared to go to trial increases our credibility with the defendant and increases the chances that a favorable settlement will be secured for our clients. Call us at 212-242-7480 for more information, or email us at our Contact Page. Serving New York City, Manhattan, Brooklyn, the Bronx, and Long Island.